Herbalism- the art and craft of healing with plants. Kenzie McDonald is a long time friend of the farm, who shares our love for good food raised well and children's education. Kenzie has brought herbal plants to our gardens and worked along side us as a Camp Bread and Butter counselor. 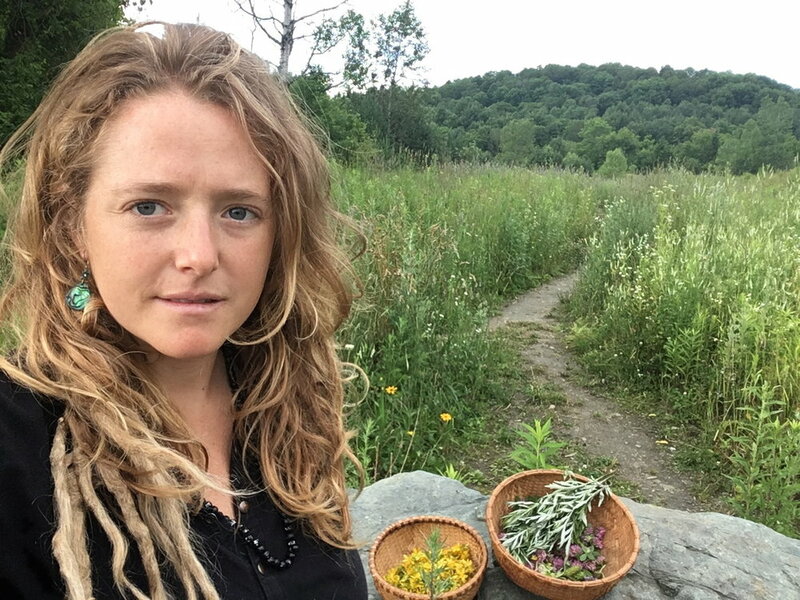 In the fall of 2017, Kenzie launched the first Bread and Butter Herbal Classes, which she taught in our farm store and in the surrounding fields and forests. We are excited to continue our collaboration with Kenzie in the form of the winter herbal classes, and a week herbal theme at Camp Bread & Butter this summer. See below for more information about the new classes coming up this winter! Winter Herbalism Class Series for Kids and Pre-Teens! Financial support available based on request. Have you ever wondered why plants help us heal? Do you enjoy learning outside in the woods and inside making remedies? This herbal-based educational series will highlight the magic and life of plants in the forest and in the field. Our classes will incorporate meditation, chakras, hikes, fire-building and potions-making. Join us this winter to experience hands on learning through plant communication, focus on intuition, science experiments and remedy making to take home and give away in solidarity to communities in need. Please pre-register your child(ren) for this class series! If you have any questions or feedback, please email Kenzie directly at wildfaithherbfarm@gmail.com. Thank you! As a clinical herbalist and organic herb farmer, Kenzie enjoys teaching about the healing properties of medicinal plants for the mind, body and spirit. She is also a beekeeper, a dancer and a lover of nature, social justice and spirituality. Kenzie is queer, trans and disability friendly, and open to creating access to herbs for people of all ages, genders, colors and faiths. Kenzie specializes in emotional wellness and trauma healing through herbal support, as well as social justice and spiritual education to embody the work of an ally. Learn more about Kenzie's Work at Wild Faith Herbalism!